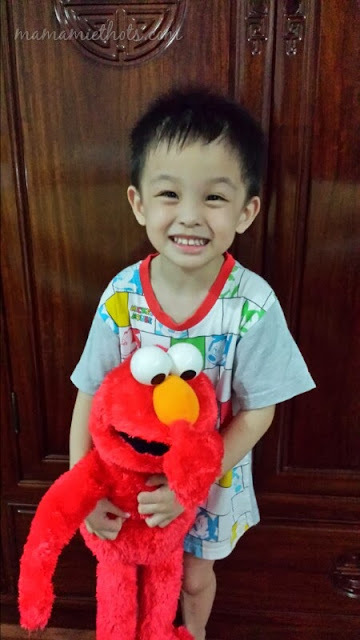 ~Mamamie's Thots~ Singapore Parenting and Lifestyle Blog: Let's Sing, Dance and Hug with Big Hugs Elmo This Christmas! Let's Sing, Dance and Hug with Big Hugs Elmo This Christmas! 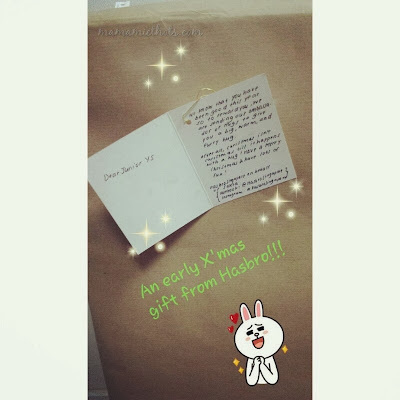 Thanks to the kind folks from Hasbro Singapore, they sent an early mystery Christmas present to Junior YS recently. I brought the whole thing home for him to unwrap his present on his own. The moment he opened his present, he was so excited to see one of his favourite cartoon characters in the big box. He started to hold on tightly to the box even before we could have a chance to open it up for him. Ranked as one of the top toys to receive this Christmas season, the latest offering from Hasbro, Big Hugs Elmo, is an interactive and educational plush toy that invites preschoolers to cuddle, pretend, sing, dance and explore while learning the alphabet, numbers, shapes, colours and more. 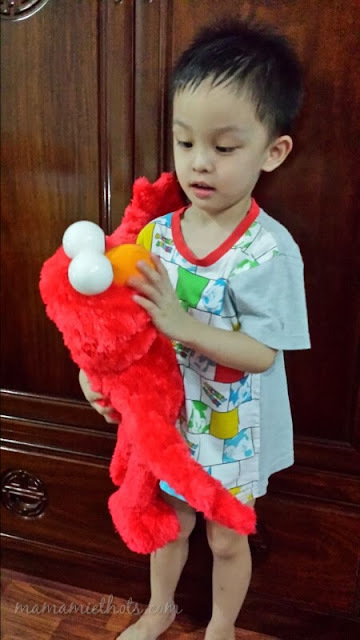 - When you give Elmo a big hug, he'll hug you back and say fun phrases or sing a sweet song about hugs. - When you turn Elmo upside down, he says more fun phrases. - Press his left foot and wait for Elmo to select a fun pretend mode. You can bounce and jiggle Elmo or dance along with him when he sings. - When you lay Elmo down in a flat position, he'll becomes sleepy and sing a lullaby and make sleeping sound effects. 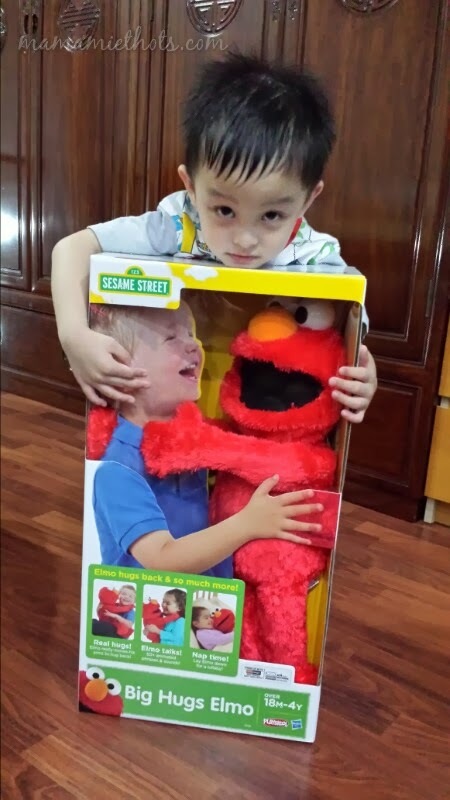 Disclaimer: I received a complimentary Big Hugs Elmo for review purpose, no monetary was compensated. Opinions are my own.